Emirates Glass LLC is a subsidiary of Glass LLC which itself is a Holding Company headed by Executive President Mr Rizwan Kahn, incorporating leading names like Saudi American Glass and Lumiglass alongside the Emirates Glass brand. Glass LLC was set up by Dubai Investments PJSC to create a vertically-integrated Flat Glass Industry in UAE. 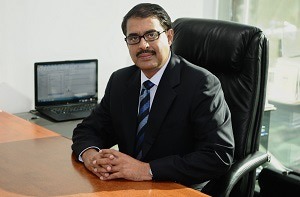 Emirates Glass LLC was established in 1998 in the Al Quoz Industrial area of Dubai in response to the rapid growth of the local construction industry and has developed as a leader in the production of processed architectural flat glass in the Middle East, steered by MD & CEO Mr. Khalid Kalban. At the heart of the Emirates Glass operation is manufacture of MSVD sputter-coated high performance glass under their EmiCool® range of solar control, multi-functional Low-E and Standard Low-E glass designed to minimize solar gain into air-conditioned buildings in the Gulf environment. An ASHTON INDUSTRIAL heavy duty UNIX professional arrisser (seamer) and special water bath tables has now been added to their state of the art production plant, which also includes a 20 cathode coating line from Applied Materials GmbH (formerly Leybold, Germany), with a loading bed of 3000 x 6000mm and an annual capacity of 3 500 000sqm of MSVD sputter-coated glass, opening up an extensive market for post-temperable stock sheets that can be downstream-processed by Emirates Glass’ own customers. EGBC Recognizing the need for greater sustainability in the UAE through energy-efficient glazing, Emirates Glass became one of the founding members of the Emirates Green Building Council, affiliated to the World Green Building Council, and are directly involved in the creation of the first draft LEED standard for building in the UAE. 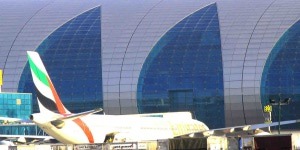 GGF The latest initiative from Emirates Glass L.L.C. is in being a founder member of the Glass and Glazing Federation’s Gulf Region formed in the summer of 2008 and based in the U.A.E. GGF is the recognised authority and voice for employers and companies within the flat glass industry with global reach.The central office operates from London with regional offices in Asia, Europe, the Americas and now the Middle East. Plans encompass lobbying for a recognised energy and solar control standard similar to Dubai Municipality Decree 66 of 2003 which was sponsored by His Highness, Sheikh Mohamed Bin Rashid Al Maktoum. The decree has been successful in ensuring a higher degree of design standard relating to glazing shading coefficients and performance and is vigorously enforced. As a consequence architects, responsible for Dubai based products are increasingly turning to L.E.E.D criteria in new projects.